It’s the third most popular grain grown in the world, after corn and wheat. But since so much of the corn grown is used other than for human consumption, rice and wheat are tied as the staples of human life. 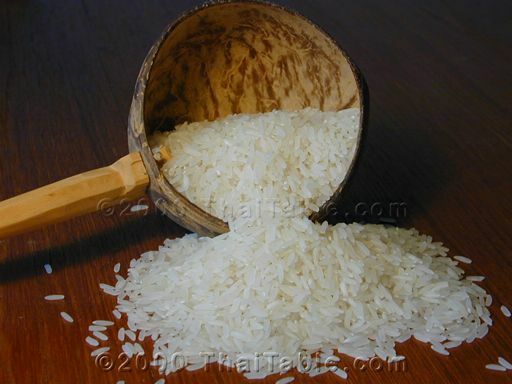 Rice provides more than 20% of all the calories eaten by all 7 billion humans on the planet. I suspect it was at least that for me today. But oats and wheat put in respectable showings as well. Day 3 of the SNAP Challenge began with a steaming bowl of oatmeal. I think I’m getting the hang of this now. You put about 25% more than the required water in the bowl before you flip the microwave to “irradiate” and it comes out with a milky colored liquid, which is nearly enough to convince you, if you’re not thinking too clearly in those pre-caffeine moments, that you’ve put milk on it. Which you haven’t because there’s not enough in the food stamp budget for milk. A bowl of oatmeal is only about $.15. I was in Florence today, at the remarkable Southeastern Institute of Manufacturing and Technology at Florence Technical College where students can train for jobs that got sent off to Asia in the last decade of globalized economic madness. (In Asia, by the way, they eat lots of rice. So your food stamp diet can prepare you for a high tech career in some exotic Asian country where they still believe in economic development.) The SIMT was packed with business and education leaders from around the Pee Dee imploring an audience who already agreed with them that South Carolina should invest in early childhood education. There were in attendance as well, the usual suspect elected leaders, all of whom nodded dutifully, while checking their smartphones and hurriedly rushing off to the next meeting. The Business Leaders Summit featured a sumptuous buffet for lunch. But I went out to my car and devoured my two peanut butter and strawberry preserves sandwiches. Afterwards, I went back in to hear about brain development in children and was left to wonder how many of America’s children would have a diet that would let them excel, even with business leaders advocating for improving child care and early grade education. I ran in the door at 6:45, my stomach grumbling and turned on the oven while I changed my clothes. I took out one of my five Wal-Mart chicken leg quarters, salted and peppered it and then put it into bake. Whereupon I made rice, loaded with salt, pepper and Blue Bonnet margarine. Total food expense for day three: $2.15. Which means I’m ahead of budget by about $5.50. So the second half of my week might just see some veggies. Maybe even the banana that’s been dancing my dreams, which while definitely only a banana, seems every bit as sensual and seductive as Freud suggested that it would. I am entertained, very detailed post.